If you’re in a spring-tidy spirit like me (or just love lavender!) 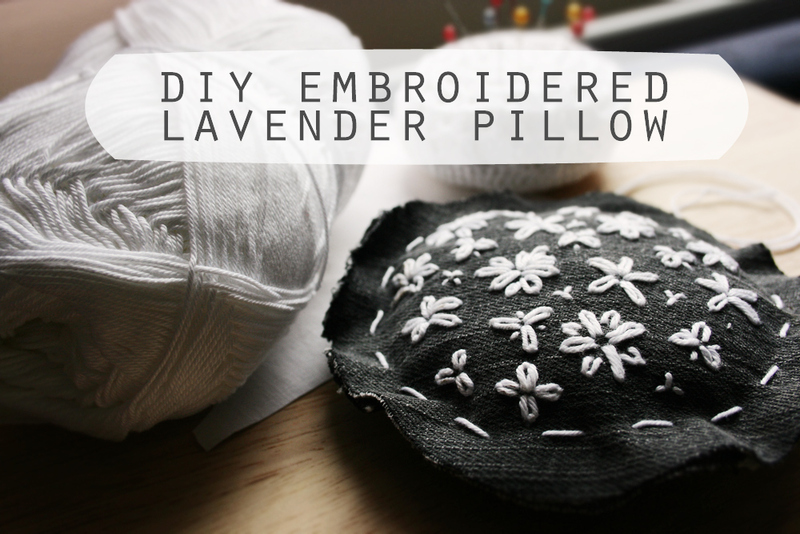 this embroidered lavender pillow is a cute evening’s project and perfect for beginners. First stretch your denim into the embroidery hoop and thread an arm’s length of yarn onto your needle. 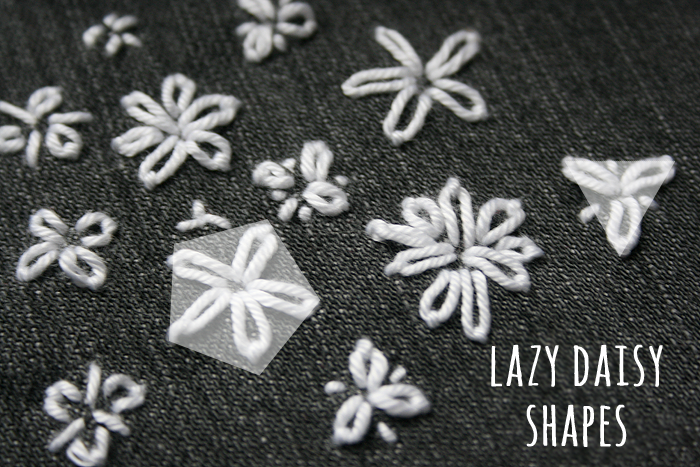 It’s time to fill your denim canvas with the lazy daisy stitch! 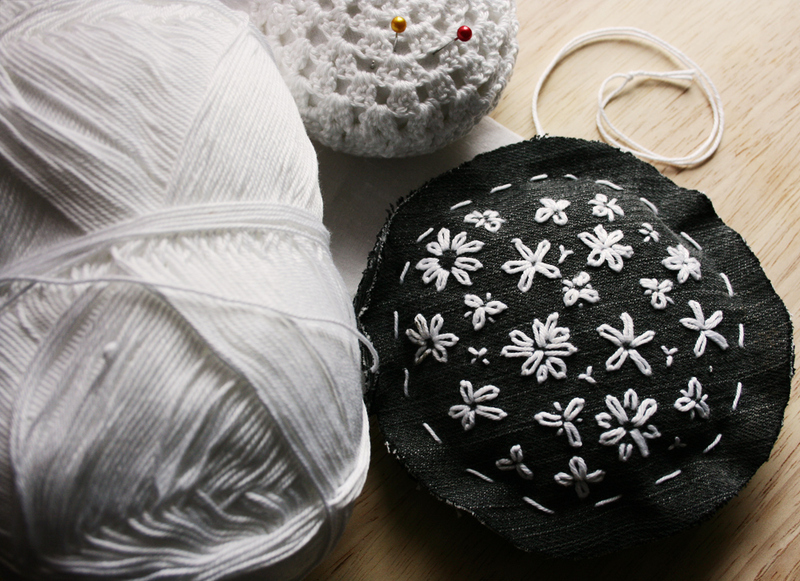 I started from the centre outward, creating as many different lazy daisies as I could think of. 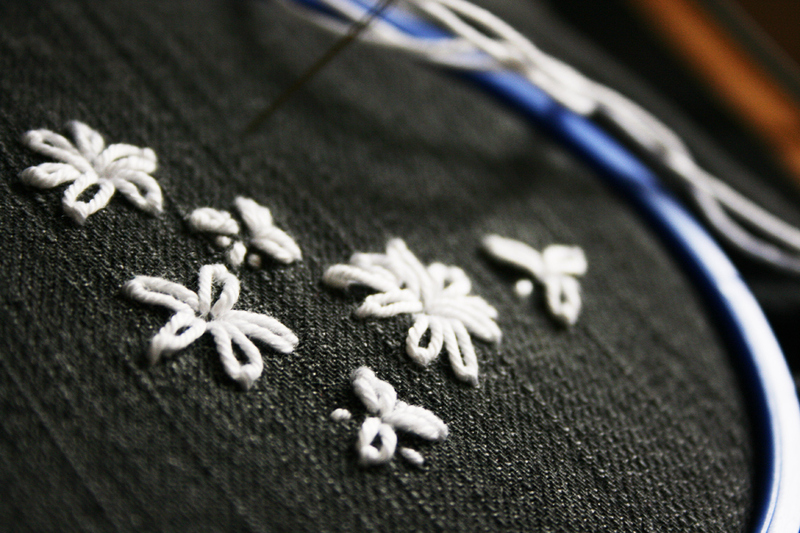 To help work faster, pinch the thread to the work as you create the petal loops. This keeps it from twisting and ensures you don’t pull too far for the petal size you want. Oops! Just loosen the overly tight loop and try again. I did my flowers freehand, but you can use fabric pen to mark out your shapes. I imagined triangles and pentagons to help shape my flowers as I went along. Stitch together your lining fabric (I used an old bed sheet) with half a centimetre’s seam-allowance until you have one inch left unsewn. Turn right-side out and fill with lavender. My pouch took 50g, but amounts can vary significantly. Finish the seam with whip stitch. Remember, the seam won’t be seen! Pin the cover in place over the pillow as you want it to be sewn (right sides out!) and sew together with running stitch. And there it is, your own sweet-smelling lazy daisy sampler. I’m going to fray my pillow’s edges but for now I think it’s pretty cute as is!